As our gardening season gets started maybe you’re considering reworking an area in your landscape to create more color. 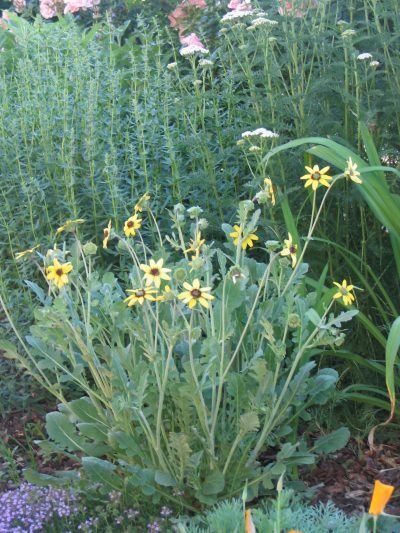 These days the nurseries are offering so many colorful and interesting perennials it’s hard to know where to start and which ones may be good choices for the Front Range. Here are a few of my favorite yellow blooming perennials, in no certain order. I’ve successfully included all of these in many landscapes and they have thrived in most instances. The one characteristic they all share, besides being yellow blooming, is that they all are low water plants that thrive in sunny conditions. 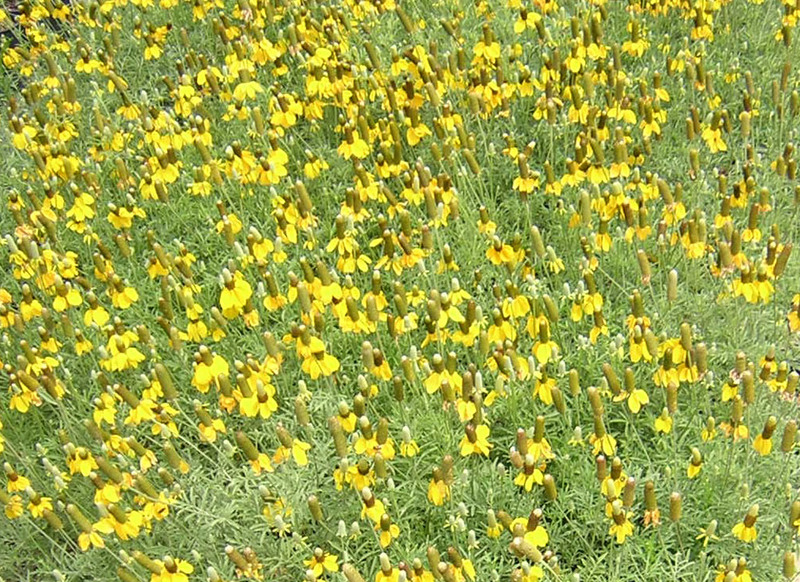 Prairie Cone Flower, Yellow; – Ratibida columnifera. This is a long blooming perennial with an interesting shaped flower. The “cone” part of this flower is elongated; some people even describe the flower as a sombrero shape. The plant itself will grow to a size around 18” x 18”. 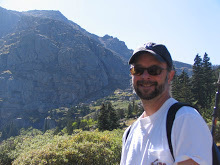 This is a great choice for an area that wants to have a naturalized feel. Columbine ‘Denver Gold’ – Auilegia ‘Denver Gold’. 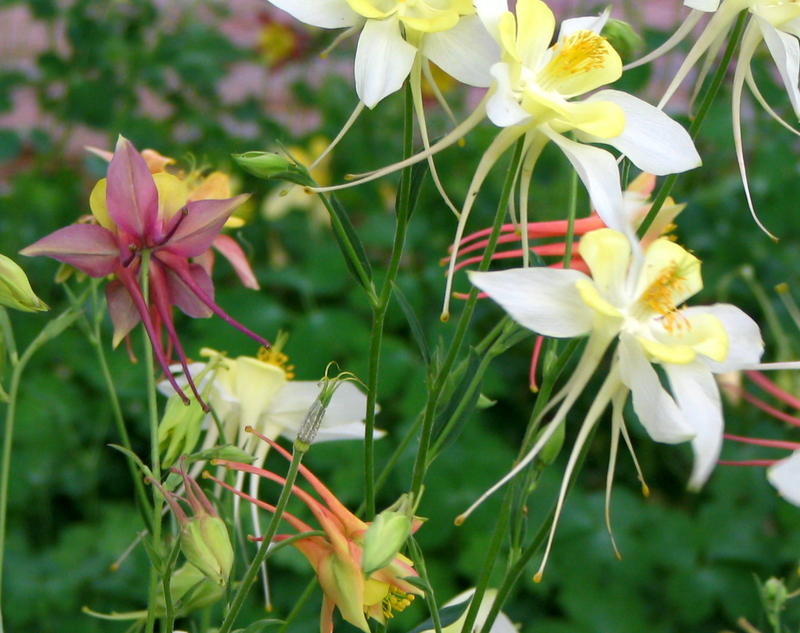 Denver gold is a 30” tall re-blooming columbine that can bloom into the summer. The blooms are a softer canary yellow. One challenge to be aware of is that this plant readily reseeds itself if seed heads are left to mature. In general columbines reseed and cross breed easily and even though you start with yellow other shades and colors can spring up in your garden like this photo. Aquilegia species ‘Swallowtail’ and Aquilegia chrysantha are other yellow blooming columbines that are worth planting. I like planting columbines towards the rear of a perennial bed with thicker foliage plants in front of the bed. Chocolate Flower – Berlandiera lyrata. This is a long blooming small yellow flower that blooms from summer into fall. The flowers open during the day and in the morning release a fragrance that really reminds you of milk chocolate. 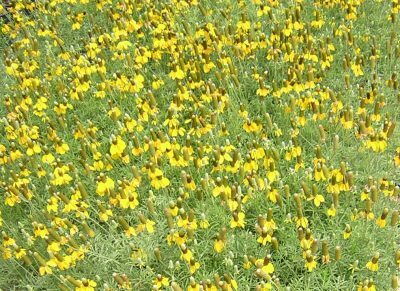 The plants are a little wild and wiry looking, but the blooms are worth including, and they work well as small cut flowers. Evening Primrose, Missouri – Oenothera macrocarpa. 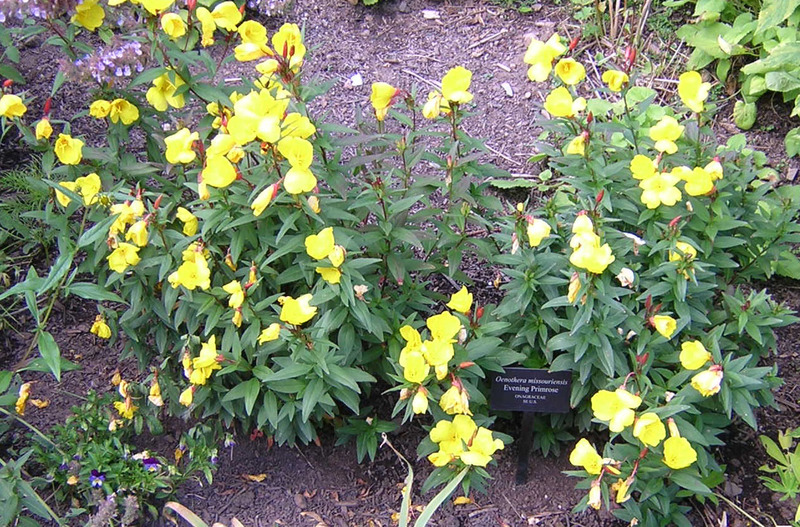 A lower mounding plant with nice bright green foliage and waves of very large yellow blooms mixed in. This plant works well in larger plantings as well as a specimen. The soft yellow blooms are large enough to be visible at night; a great plant to include in a night time garden around an evening oriented patio. These are just a few possibilities and many others are out there. Expect more lists of perennials with different colors in future posts. Maybe the orange and peach spectrum will be next. Be in the garden and thrive.